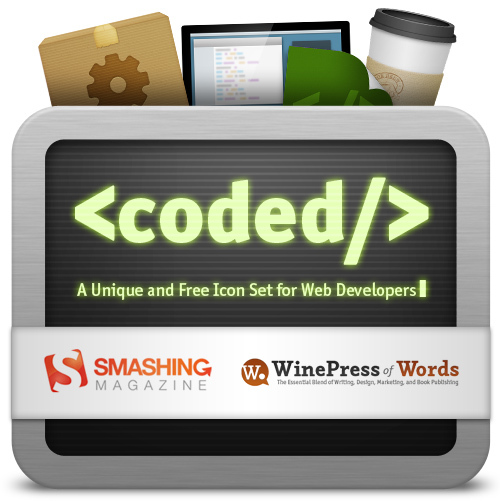 Today we’re excited to present you a new icon set called Coded. 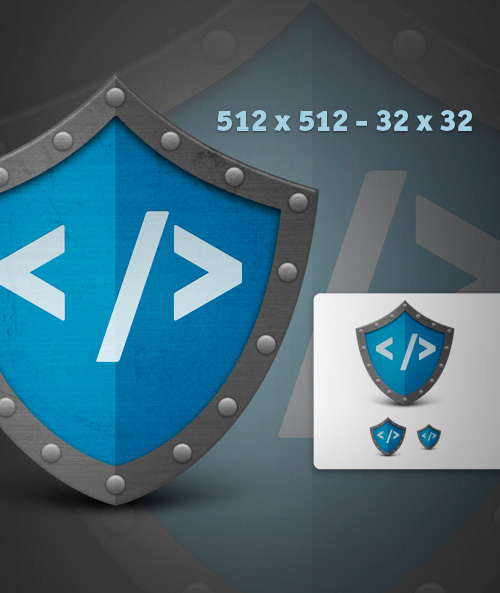 Designed with web developers in mind, Coded features 25 high-quality icons ranging from 512×512px to 32×32px. Designed by Thomas McGee, this set has been released exclusively for Smashing Magazine and its readers. The Coded Icon Set makes an excellent addition to any website, especially those inspired by the trade of web development. 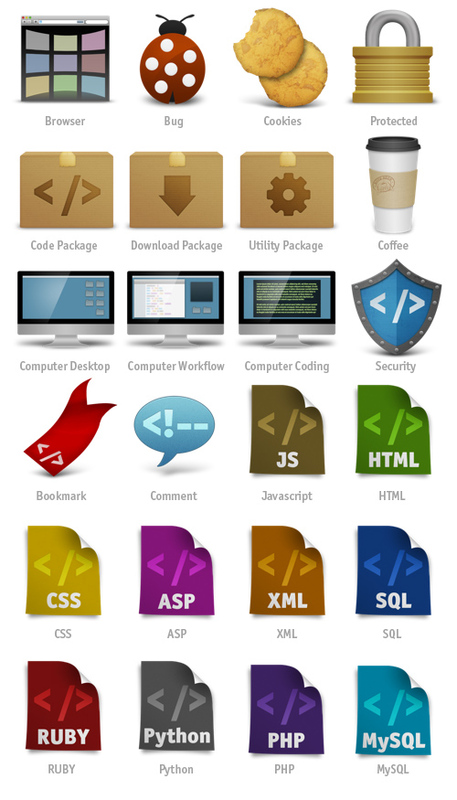 Perfect for your next client’s site or for showcasing your own web development — these icons are useful for every coder. You can use the set for all of your projects for free and without any restrictions. You can freely use it for both your private and commercial projects, including software, online services, templates and themes. The set may not be resold, sub-licensed or rented. Please link to this article if you want to spread the word. Thanks, Thomas! We truly appreciate and respect your time and your efforts!